Is Modeling a Treatment for the Weakness of Software Engineering? Experts' opinions exist that the way software is built is primitive. The role of modeling as a treatment for Software Engineering (SE) became more important after the appearance of Model-Driven Architecture (MDA). The main advantage of MDA is architectural separation of concerns that showed the necessity of modeling and opened the way for Software Development (SD) to become engineering. However, this principle does not demonstrate its whole potential power in practice, because of a lack of mathematical accuracy in the initial steps of SD. The question about the sufficiency of modeling in SD is still open. The authors believe that SD, in general, and modeling, in particular, based on mathematical formalism in all its stages together with the implemented principle of architectural separation of concerns can become an important part of SE in its real sense. They introduce such mathematical formalism by means of topological modeling of system functioning. Software developers’ community understands and forcedly accepts that software development in its current state is rather art than an engineering process. This means that qualitative software is a piece-work or a craftwork. Such an item usually is expensive, and cannot be stock-produced. However, in the modern world software users want to see and to use a qualitative and relatively cheap product. This means that software development must become software engineering. The word “engineering” intends a theory approved, completely realized and reused many times in practice that gives a qualitative and relatively inexpensive end product in accurately predictable timeframes. Software development’s way to software engineering is quite long. Things that make this way long are very different. From one viewpoint, software development lacks commonly accepted theoretical foundations. From another viewpoint, software developers do not want to use “hard” theory (especially mathematical) because in order to win on the market they must provide operating software as fast as possible and even faster, but a lack of theory just slower getting an operating product. From the third viewpoint, clients do not want to pay a powerful lot of money for a product that, first, exists only as a textual document, second, includes “intellectual” work that is hard to measure and to evaluate, and third, usually it is not the same as clients wanted. Clients cannot check how work proceeds, since they cannot see the product at whole before integration of its parts and cannot evaluate (or even understand) the size of introduced efforts. The content of this chapter is our vision of how to shorten this long way. First, we discuss effectiveness and quality of software engineering, and then differences between traditional engineering disciplines and software engineering. Next, we consider a modeling process and discuss benefits and issues, which could and could not be solved by modeling. At the end, we discuss our vision on what must be done in order to get really revolutionary improvement of software development. Software Development: The practical application of computer science for commercial and industrial problems, but is based on intuitive understanding of appropriateness of the solution. Computation Independent Model: A Computation Independent Model (CIM) is a model defined within OMG Model-Driven Architecture as a primary model. This model reflects system and software knowledge from the business perspective. The CIM may contain business knowledge about system organization, roles, functions, processes and activities, documentation, constraints etc. The CIM must contain business requirements for the software system. 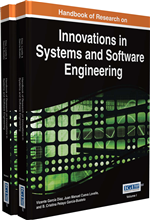 Software Engineering: The practical application of computer science for commercial and industrial problems that should be based on mathematically proven appropriateness of the solution. Mathematical Formalism: The scientific direction that solves basic problems with mathematically formal axiomatic constructions. Topological Functioning Model: A model based on system theory and mathematics that specifies functionality and structure of a complex system as a connected topological space of system’s functional characteristics and cause-and-effect relations among them. Theory-Driven Development: Software development based on strong theoretical foundations. Domain Modeling: Analysis and specification of characteristics of the domain under the discourse.